Walk to put an end to breast cancer! 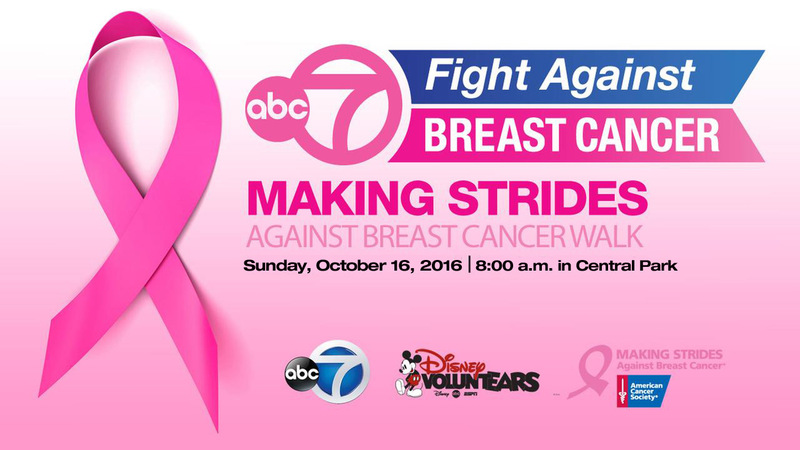 WABC-TV is a proud sponsor of the "Making Strides Against Breast Cancer Walk," which will take place on Sunday, October 16th in Central Park. The walk helps raise money for research and honors those who have battled the disease. So far, more than 680 teams have signed up, and nearly two thousand are committed to taking part. Join us! When you participate in a Making Strides Against Breast Cancer walk, you are sharing your passion and raising funds to help save more lives from breast cancer. Sign up for a Making Strides walk near you, and make a difference with every step you take. Make your donation through Team ABC/Disney- click here!